(W) Grant Morrison (A/CA) Frank Quitely. Nothing has ever seriously threatened the global corruption the Crime Syndicate of Amerika proudly enforce, but now a twisted mirror image of the CSA has arrived from the flipside of reality. 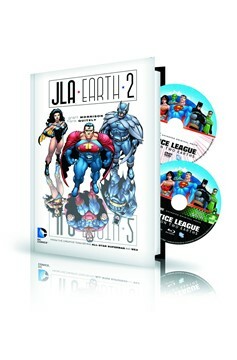 Can anything stop this so-called 'Justice League'? 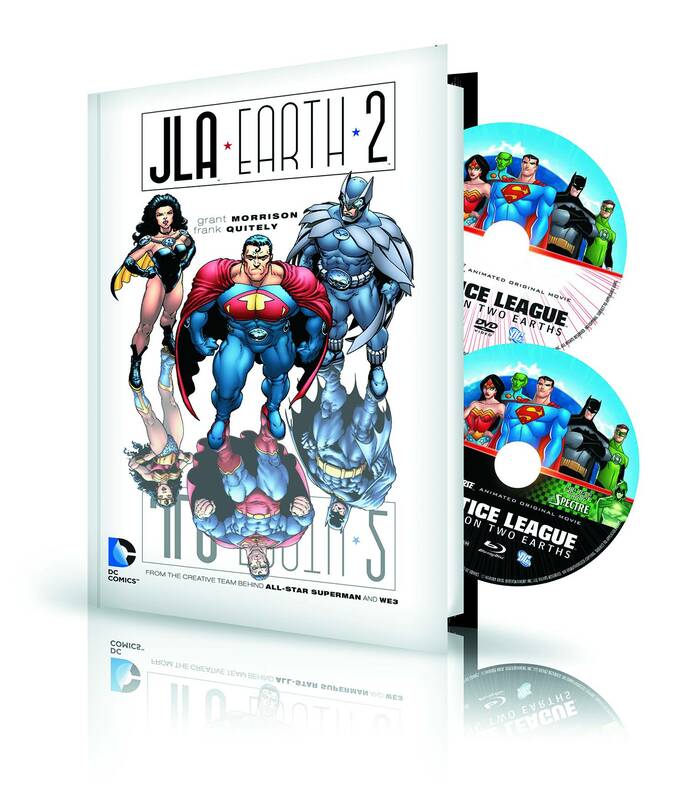 Accompanying this original graphic novel is JUSTICE LEAGUE: CRISIS ON TWO EARTHS, the animated movie inspired by the book on Blu-Ray and DVD discs. Read the book, watch the movie!.